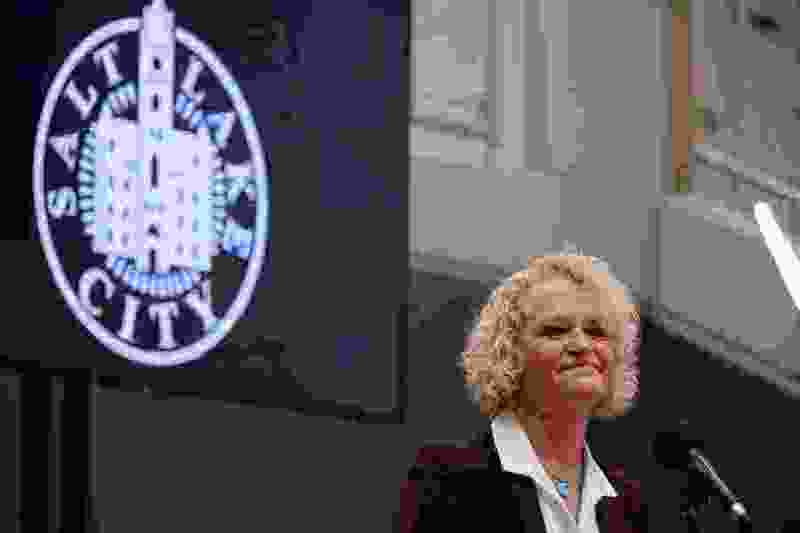 (Trent Nelson | Tribune file photo) In this January file photo, Salt Lake City Mayor Jackie Biskupski gives her State of the City address at East High School in Salt Lake City, Jan. 17, 2019. On Tuesday she testified before Congress about local efforts to cut carbon emissions and the importance of the federal government in leading the fight against climate change. Washington • Salt Lake City Mayor Jackie Biskupski urged Congress to take action on combating climate change, noting that while her city is working toward lowering emissions, the federal government needs to step up. Biskupski testified before a House Ways and Means subcommittee on Tuesday morning and noted that while she loves the beauty of Utah, carbon emissions are causing harmful air pollution, decreasing annual snowfall and prompting wildfires. The mayor, one of several local and state officials to address the subcommittee, touted Salt Lake City’s efforts and pledge to rely on clean energy sources. She said the city is focusing on energy-efficient or zero-emission buildings, including a public safety office and fire station, as well as improving public transit options. Salt Lake City, Park City, Moab and Summit County have all pledged to rely on 100 percent renewable electricity by 2030.